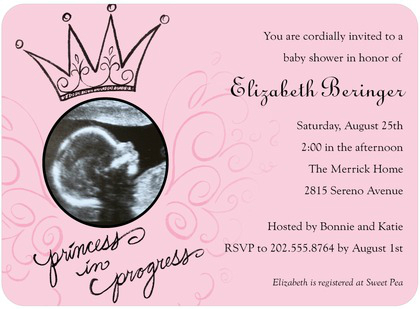 Baby shower invitations for girls can be found in cool, modern, chic, unique, and custom styles that can be colorized, personalized and retouched, until they are just what you were looking for. Some of the best ideas for modern invitations: Photo invitations, biodegradable/Eco-friendly invites, and personalized stationery sets. 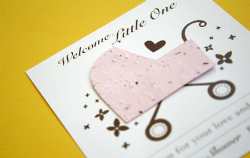 For a cool baby shower invitation, order seeded paper. The invites are printed on bio-degradable paper that is embedded with, lots of tiny seeds. The recipient can actually plant their shower invitation in healthy soil… and watch it grow! Are all great sources for baby seeded, invitations. However, the majority of what you will find are birth announcements, thank you cards, and baby shower favors. The bunny invite will open up in a PDF. You can down load and print the invitation from your home computer. Before you spend too much time exploring photo invites, be sure you can get a good quality, high resolution photo to work with. Chances are, you won’t have any trouble getting the perfect snapshot you need. Some couples are choosing to have their baby bumps photographed, by shutter-fly friends, or professional photographers. If mom-to-be has a favorite pregnancy photo, ask if she would like to use it on the baby shower invitation. If you’re good with design software, you can probably make your own photo invites at home. It’s best to use a laser-printer, or outsource the printing with a photo lab or print shop. Unless you’re really set-up for such a big project; it might be best to order your cards from a pro. Peartree.com is, another shop for remarkble, photo invites. They also have a great selection of modern and pretty baby shower invitations just for girls. As with most custom invitations; you’re not limited on great designs choices. Many layouts are interchangeable; the colors, fonts and some of the graphics can be personalized to your satisfaction. Cardstore.com is also a favorite. 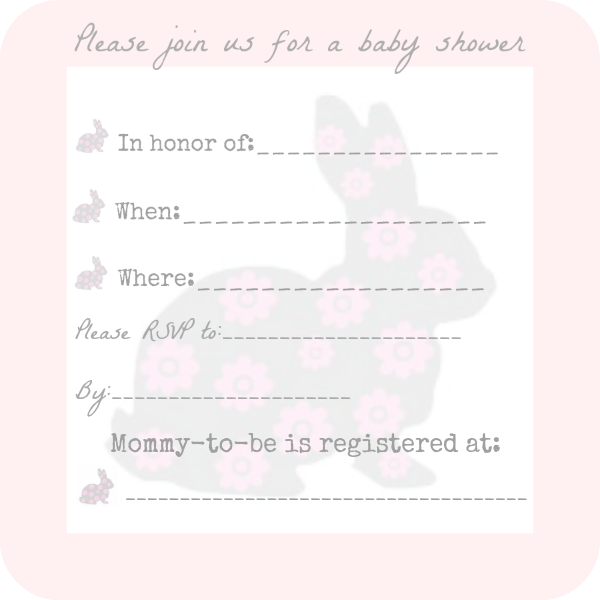 You can personalize and design the perfect baby shower invitation online… place your order; and they will mail the invitations for you! Skip the shipping fees, and rest easy knowing- one of your most important planning tasks, is covered! Gotta love it! Mactopica has been the preferred site for many Mac users and owners. Stock Layouts is, an excellent site for template gurus and anyone looking for a vast selection. are tons of fun to shop for, and they’re also fun to make. When the homemade invitation is for a girl- anything sweet, pretty, dainty, or just plain girly-girl, will do. 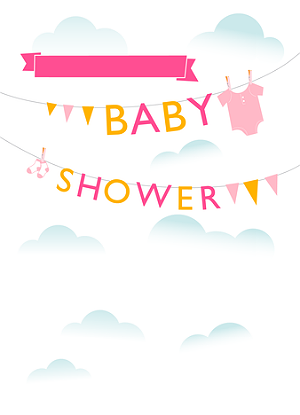 As a general party planning rule; the invite should show off the theme of the baby shower. 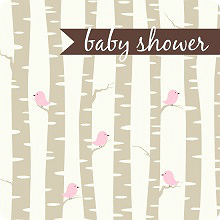 If you’re not planning a shower theme, then the invitation should reflect the tone of the event. Fancy fonts and images of pretty rattles, work well if, you’re hosting an elegant venue. If the party plans include, a beach-side BBQ, a fun and cheery luau invitation might be perfect. See hundreds of custom baby shower invitations for girls, from our most frequently recommended vendors, and affiliates when you visit our baby shower stores.